Rancho Carlsbad Golf is an 18-hole par 3 golf course and driving range carefully tucked away in the hills of Carlsbad, California. The golf club is located just minutes away from the Pacific Ocean and is an ideal recreation place for the entire family. This par 3 golf course is perfect for short games as one can finish one round of golf within 3 hours and then take part in the other activities on offer at the club. 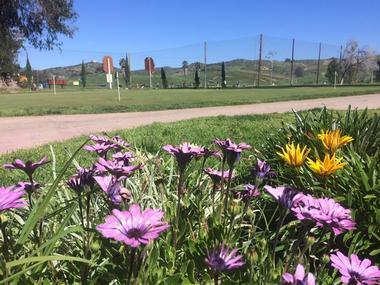 The driving range is a relaxing location to work on your golf swings, as this picturesque North County range offers both natural grass and mat. Also available on the golf course is the 19th Hole Deli, a café that offers the perfect menu to finish off a day of golf and fun. The club offers golf lessons and club fitting with professional instructors for professional and amateur golfers. The club also organizes junior events, PGA Junior League Golf, and PGA Junior Golf Camps. Golfing rates during the weekday start from $14 per person for 9 holes and on the weekends it costs $16 per person for 9 holes. There are special concessions available for seniors, juniors from 13 to 17 years, and sub-juniors below 12 years or age. Footgolf is a relatively new concept where participants play golf with a soccer ball and use their feet to kick the ball from a tee to get it into a hole. The challenge here is to use the least number of kicks from the tee to the hole. Footgolf starts from $14 per person for 9 holes on weekdays and $16 per person on weekends and there are special concessions for seniors or juniors aged 17 years or younger. 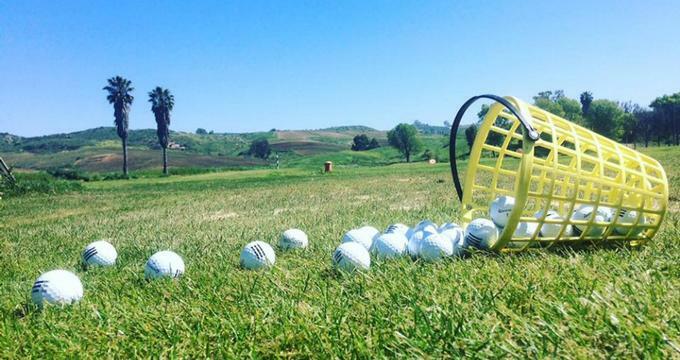 Rancho Carlsbad Golf is one of the leading golf practice destinations in the North County. The golf swing surfaces are made of either high quality natural grass or excellent quality mat that resembles real turf. Even the practice balls provided are of the best quality. 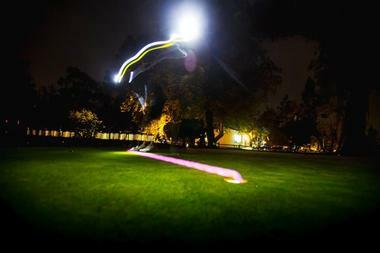 Prices start from $7 for 35 small balls on a mat surface and $9 on a grass surface. You can choose between small, medium, and large balls and up to 105 in number. The club also offers Value Keys on the Driving Range, whereby players can use E-Keys on the Driving Range, which cost up to $200. You can purchase the club’s gift cards online and redeem them at the club. Their membership or golf passes, starting from $70 going up to $550, can be purchased at the club to enjoy unlimited golf access exclusive for members. The Rancho Carlsbad Deli offers a wide variety of sandwiches, hamburgers, and western bacon cheeseburgers. The deli offers 'build your own' sandwich options, and they take advance orders so that the food is ready by the time players come over for a day at the golf club.